The Traditional Building Conference Series delivers focused, relevant education for architects, contractors, craftspeople, designers, building owners and facilities managers in a time efficient format at beautiful historic venues. In a two-day interactive symposium, you will learn from best-in-class experts and practitioners about historic preservation, adaptive use, urban infill, classical design, sustainable building restoration/maintenance, and traditional craft. The Traditional Building Conference Series is hosted by our B2B publications: Traditional Building for commercial/institutional architects andPeriod Homes for residential architects. 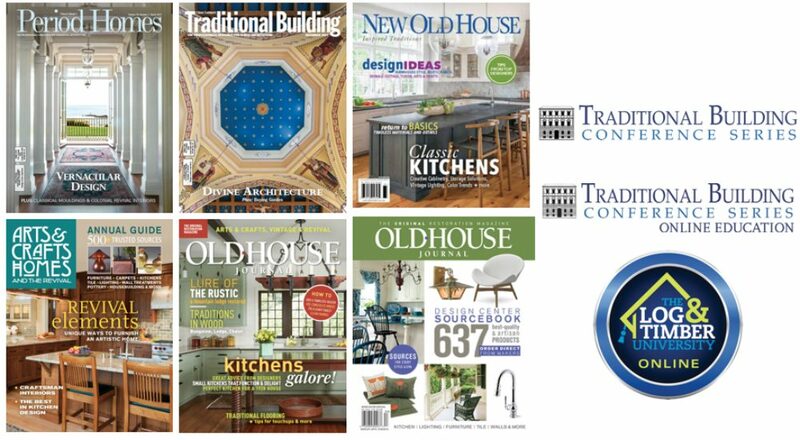 Our other magazines include Old House Journal, New Old House, Art and Crafts Homes, and Design Center Sourcebook. To earn AIA credits and learn about traditional materials and methods from the comfort of your computer, our webinars are available live or on-demand at https://www.traditionalbuildingshow.com/online-education.